John Weston Parry is a lawyer, author, and host of the website/blog: Sportpathologies.com. His most recent book is The Athlete’s Dilemma: Sacrificing Health for Wealth and Fame. As director of the American Bar Association’s Commission on Disability Rights and editor-in-chief of the Mental and Physical Disability Law Reporter (1979-2012), Parry wrote and edited numerous books and articles about mental disability and health law, diversity, and the rights of persons with disabilities. Parry began following sports seriously at Lake Forest College, during the tumult of the late 1960’s and early 1970’s. As a student majoring in government, with a minor in psychology, he wrote several term papers and his honors thesis on social and civil rights issues pertaining to sports. Since that point, he has continued to analyze sports issues critically. Today he is using the expertise he accumulated in his professional career to examine pathologies that undermine the ideals of sports through his website/blog and his books. Those pathologies include: (1) health, mental health, and substance abuse problems of athletes; (2) crimes and other bad behaviors of athletes, coaches, and owners; (3) discrimination and lack of diversity in the sports world; and (4) frequent corruption by unregulated cartels that control professional, Olympic, and collegiate sports that do business in the United States. Parry was recently interviewed by League of Fans’ Sports Policy Director, Ken Reed. Reed: Most of your career has been in mental and physical disability law. What spurred you to write The Athlete’s Dilemma: Sacrificing Heath for Wealth and Fame? Parry: My impetus for writing The Athlete’s Dilemma: Sacrificing Health for Wealth and Fame (Rowman & Littlefield, June 16, 2017) was an opportunity to focus on pathologies in sports using the professional expertise I had developed as a lawyer, writer, editor, and advocate immersed in issues involving mental and physical disability law, disability rights, and diversity. I felt I brought unique perspectives to these topics. Reed: Your website title is Sportpathologies.com. That’s an interesting title for a sports-based website. What’s the genesis of that name — in particular, the use of the word pathology? Parry: As I learned at Columbia School of Public Health, pathology examines the causes, origins, and nature of diseases as they affect the human body and mind. The more common meaning of the term, however, focuses on sharp deviations from what is normal, expected, or healthy. Pathologies have developed or evolved in American sports, especially where they have been played at an elite level. There is a culture and locker room atmosphere that, like a disease, penetrates and compromises the ideals of sports. Sport pathologies are often precipitated, or made worse, by money and the pursuit of profits and publicity. There also is an underlying recklessness and malevolence that is associated with the obsession to win. Everywhere one looks in our most popular spectator sports, there are serious injuries and life-long impairments, drug problems and addictions, cheating using performance-enhancing substances, and a culture that values playing with pain and injuries more than promoting a lifetime of physical and mental health. Many sports teach athletes how to incapacitate their opponents and to cheat as much as the enforcement of the rules will allow, as long as the perpetrators or their teams are not penalized too severely when they are caught. That is what winners are often expected to do in order to be the best. And once most elite athletes can no longer perform, they are left to deal with any physical and mental impairments and addictions they may have sustained without any meaningful organizational support. Thus, pathologies struck me as an apt way to describe what is happening to athletes playing sports at an elite level, or just trying to become elite. 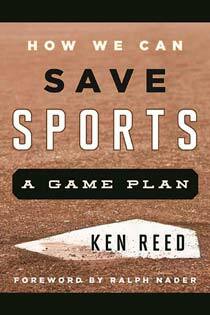 Reed: Some of the sports pathologies you examine in your book include athletes being pushed to play in pain, the use of performance-enhancing drugs, brain trauma and concussions, the proliferation of arm injuries to youth baseball pitchers, and inadequate health care for college athletes. What do you think is the number one sport pathology in the country today? Parry: Trying to determine which health-related sport pathology is the worst or most prevalent in this country is almost beside the point. Sports pathologies tend to be connected to a number of similar causes that play out differently depending on the sport. It also depends on whether one is looking at this broad subject area from a micro or macro level. On a micro level, arguably concussions and brain traumas are the most disturbing because athletes of all ages and levels of competition in many different sports—not just football and hockey—are at risk for life-altering impairments and a diminution of their cognitive abilities. Moreover, until recently the level of awareness of the seriousness of this problem was appallingly low. In fact, many of the leagues and sports organizations that govern professional, intercollegiate, Olympic, and even youth sports ignored and deliberately minimized the dangers, which has meant that adequate prevention, treatment, and rehabilitation were much less likely to occur. On a macro level, I think the one factor uniting all of these health-related pathologies is the role of our unregulated sports cartels. They allow such abuses and transgressions to occur with very little intervention unless profits are at risk. Whether it is the NFL, NHL, NCAA, MLB, IOC, FIFA, or one of the many other cartels in sports, the cover-ups, deceptions, and public relations rationalizations can be mind-numbing. These pathologies are made worse because our favorite spectator sports escape the legal and legislative scrutiny that most other businesses expect to receive. Sports are run much like the stock market or mortgage industry, which is to say the best one can expect is “buyer beware,” including the reality that much of the information necessary to make informed decisions is likely to be hidden from view. This is fundamentally against the public interest. Reed: Do you see a common root cause linking the various sports pathologies you discuss in your book? Parry: There does not appear to be a “common root cause” that unites health and other pathologies in sports. That said, the obsession with personal profits—both in sports and in society—is a factor, which more than any other seems to push us towards unhealthy and morally questionable decisions and outcomes. In addition, that obsession tends to help drive the almost as damaging win-at-any cost ethos because winners are likely to make more money and be awarded more opportunities in life. When one adds fact-deprived publicity and self-serving organizational information, which fuels the pursuit of profits in sports, pathologies are almost inevitable. 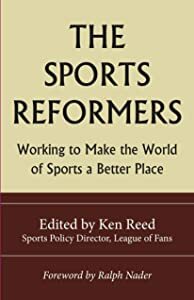 Nonetheless, the obsessions with money, publicity, and winning would never create the social problems they do if it were not for the fact that the leagues and organizations that run our favorite sports are unregulated cartels. This unchecked organizational power structure, when combined with the relentless pursuit of money, publicity, and winning, incubate and often produce unhealthy, corrupt, and bad behaviors. Reed: Which sport pathology that you write about poses the biggest threat to athletes – young and old? Parry: The biggest threat to athletes, young and old—unregulated sports cartels—is also the threat that can be rectified most easily, at least theoretically. Unfortunately, the practical obstacles are more complex and demanding. On my website/blog Sportpathologies.com, there is a separate page devoted to “cartels,” which emphasizes their dominant role in the sports world. Cartels are the biggest threat because they have caused the most damage to elite athletes, young and old, and those aspiring to become elite. They have encouraged their own athletes to take unnecessary risks, act recklessly, engage in bad behaviors, and place winning over good sportsmanship and fair play. Indirectly, they also have encouraged non-elite athletes to do the same, which we have seen in many high school and youth sports programs where academics are short-changed and injuries and the potential for long-term impairments are too easily dismissed. When our favorite spectator sports are consumed with making more money, increasing wealth, generating favorable publicity, and winning at any cost, important community values—including the health of the athletes and obtaining the truth—become blurred. Not too long ago, The New York Times ran the results of its investigation of youth sports programs, which revealed that too many of these organizations were being run by unscrupulous profiteers. These individuals grab money for themselves either directly by illegal or illicit means, or indirectly by pushing talented athletes towards prep schools, colleges, or the pros and then receiving some sort of pay-off for doing so. The fact that the sports cartels and youth programs are largely unregulated, and scholastic and college programs are regulated poorly and granted far too much latitude, has created a vacuum in which athletes, especially those who participate in sports that generate the most income, are drawn to and socialized by the pursuit of profits, wins, publicity, scholarships, and the accumulation of wealth. This happens at the expense of just having fun and promoting the educational, wellness, and community values that athletics are supposed to embody. Reed: What do you think is the genesis of the “real athletes play through pain” mentality prevalent in sports at all levels? Parry: I think there are a number of factors that contribute to the “real athletes play through pain” cultural imperative. Its genesis, however, is difficult to pinpoint. My feeling is that it is a restatement of the larger historical reality that soldiers and laborers, as well as Olympic athletes, were expected to endure a great deal of pain and discomfort before they were allowed to complain or seek relief, either by stopping what they were doing or obtaining treatment. This began to change substantially towards the middle of the Twentieth Century. Elite athletes, however—who tend to view themselves as superior physical beings—and their fans, believe athletes should be better able to withstand pain than other people. They also profit by creating this perception. While this cultural attitude derives from a male-centered perspective, since—until 1950 or so—a vast majority of soldiers, laborers, and athletes were men, the attitude has grown to include more female athletes, as girls and women have had more opportunities to compete. Reed: What is your goal with Sportpathologies.com and your sports-oriented books? Parry: Fundamentally I am a writer. I love the process of writing. It gives me joy and satisfaction and I suspect it will extend the quality of my life. It is different from work. So having the opportunity to write about sports in books and articles and on my website/blog Sportpathologies.com, utilizing my special expertise, is more than enough motivation for me to continue on this self-fulfilling path. That said, it would be nice to inform and entertain a cadre of readers, as well as to make a difference in the lives of athletes, young and old, by helping to create a sports environment that is healthier and ultimately more worthwhile, not only for athletes, but also for society. I realize that in the current political environment anyone who promotes more government scrutiny and regulation of any business activity is going to be frustrated. 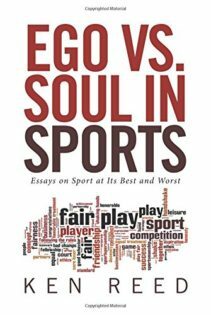 At the time I was submitting The Athlete’s Dilemma to my editors in the fall of 2016, it appeared as if the push for more regulation of sports would be a reasonable political objective. I still believe that relatively soon, but not for several years, it will become reasonable again. In the meantime, I will focus on my website/blog and next book, which is likely to be about sports cartels doing business in the United States.